Well it’s a miserable wet Summers morning today isn’t it.? And when your stuck indoors witg nothing but Jeremy Kyle on the telly, there’s not much than cheers me up more than some gourmet chocolate. 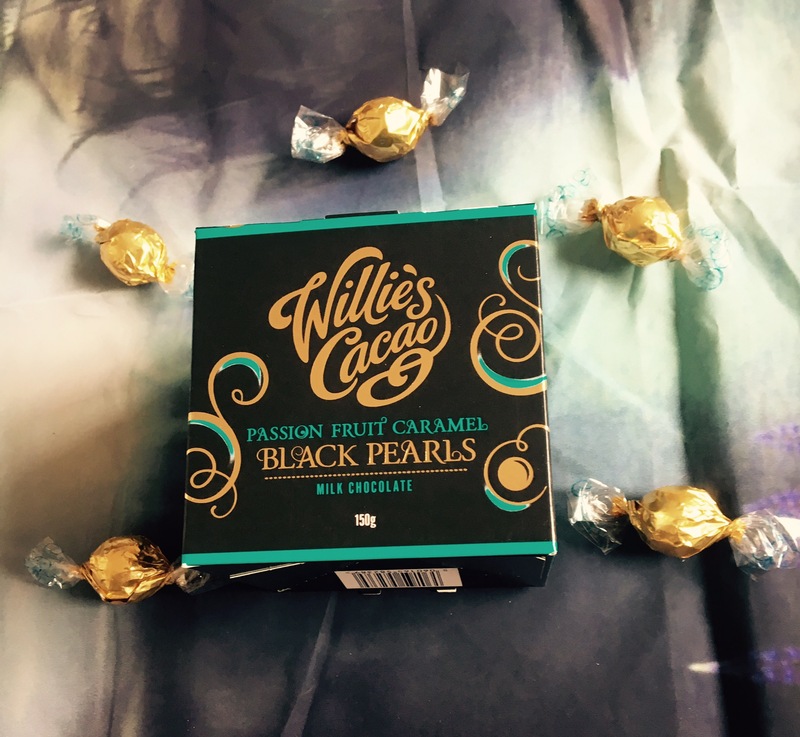 Now when I say gourmet, I don’t mean the slightly more expensive box of chocolates from the local supermarket, I mean the proper good stuff like this lot from Willies Cacao. 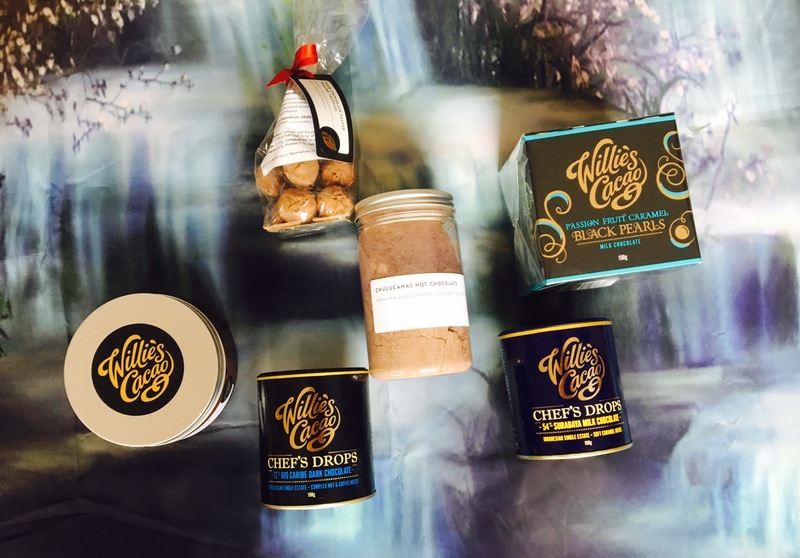 Cacao Willie produces a range of bars, along with a chocolate gift range. Thws can be purchased in the more high end stores such as Selfridges, Harvey Nichols, and online at Williescacao.com. 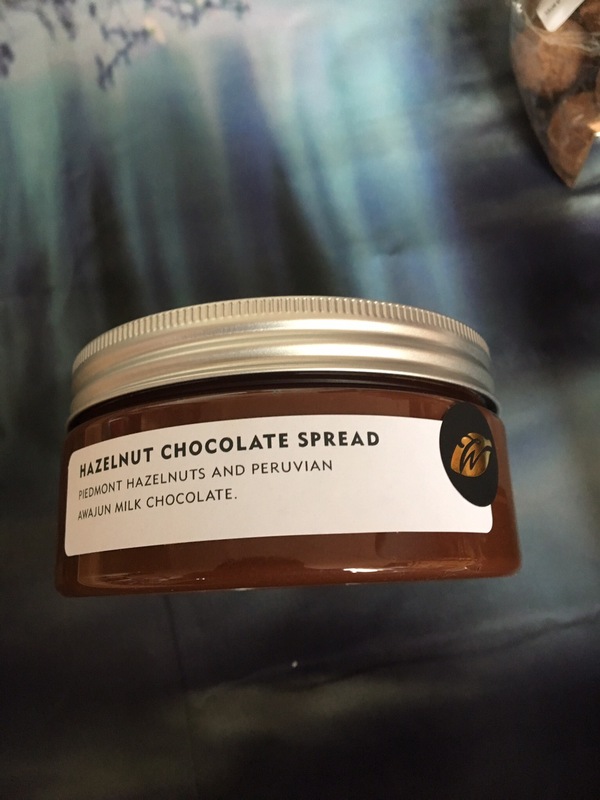 Their chocolate spread is pretty impressive being made with piedmont hazelnuts and Peruvian awajun milk chocolate. 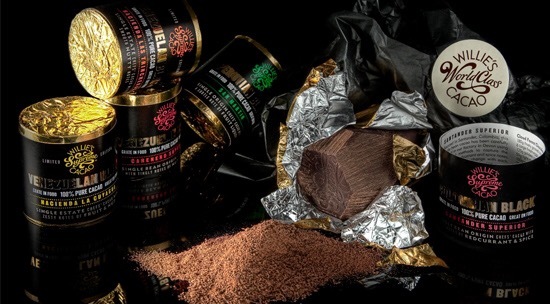 I should also mention that their chocolate is sourced worldwide using the finest chocolate beans from the best places. We only opened this stuff 3 days ago and the jar is now almost empty. They even have their own brand of hot drinking chocolate which is just what’s needed on a miserable morning like this one. 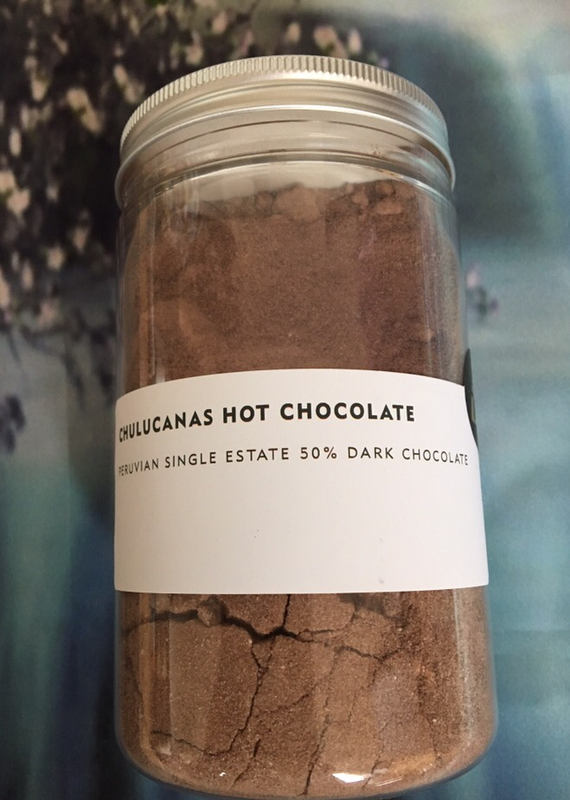 Combine a lovely milky cup of this stuff with some of Willies Cacao dark salted Prailine truffles as they go together amazingly. 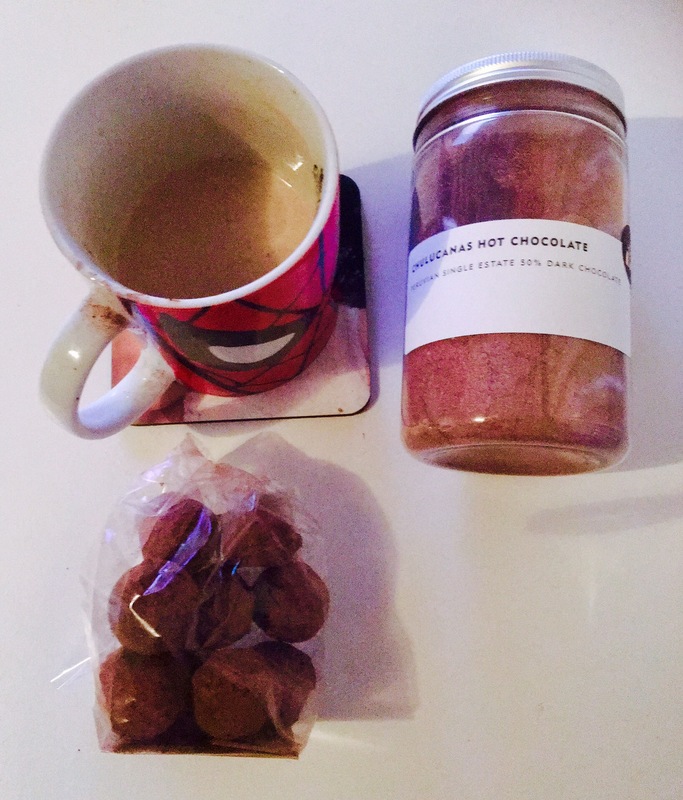 The truffles are just divine, I absolutely love the whole salted chocolate/caramel concept, it’s sweet with a crunch and a slight tang of bitterness and it just works so well together. The black pearls here have nothing to do with any pirates or any ships around the Caribbean. They do however make excellent treats when watching a movie. Or you could give them as a nice gift! I how we couldn’t as they just taste too good to give away. This particular box happens to be a delicious passion fruit caramel flavour inside a milk chocolate ball. Believe me, these are really good! Finally for those of us who like cooking/ baking or experimenting with chocolate recipes and creations, there are these. 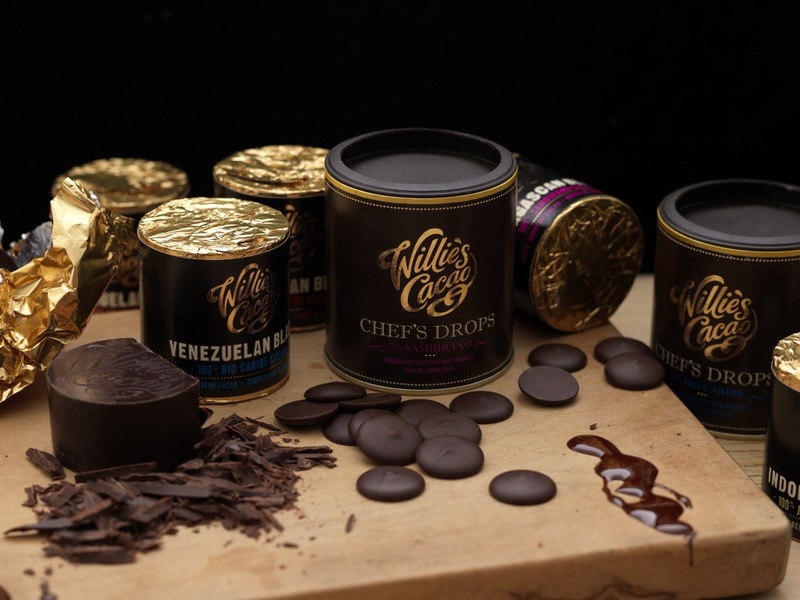 Chef’s drops look like chocolate buttons inside these tins, and come as milk, dark, very dark etc. I love how each tin clearly states the cocoa percentage clearly on the front and even the chocolate origin. 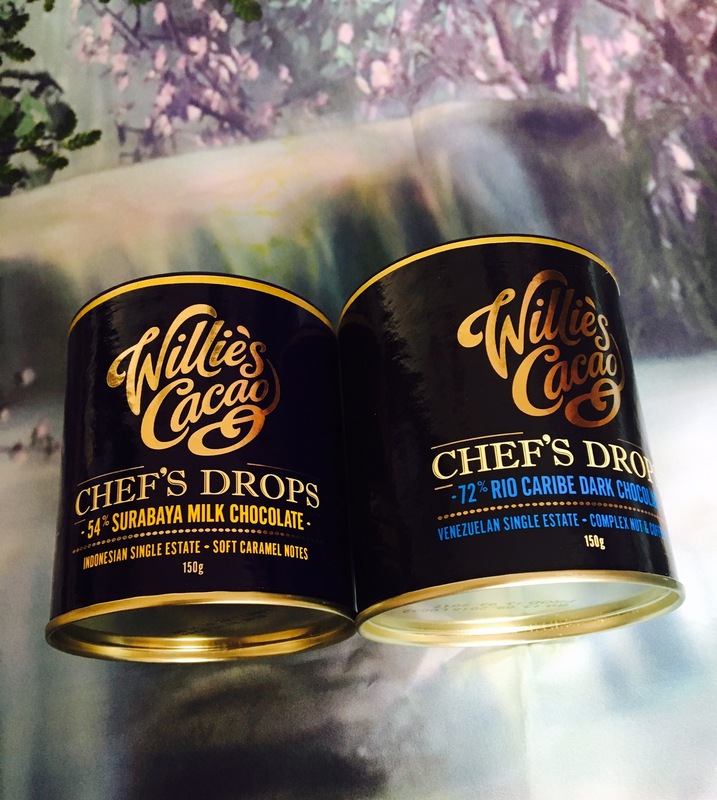 The chefs drops are used in recipes which require chocolate or for chocolate creations. Yes you can eat these button shape things straight from the tin if you really want to, but the main idea is to melt them down and use in some big else. 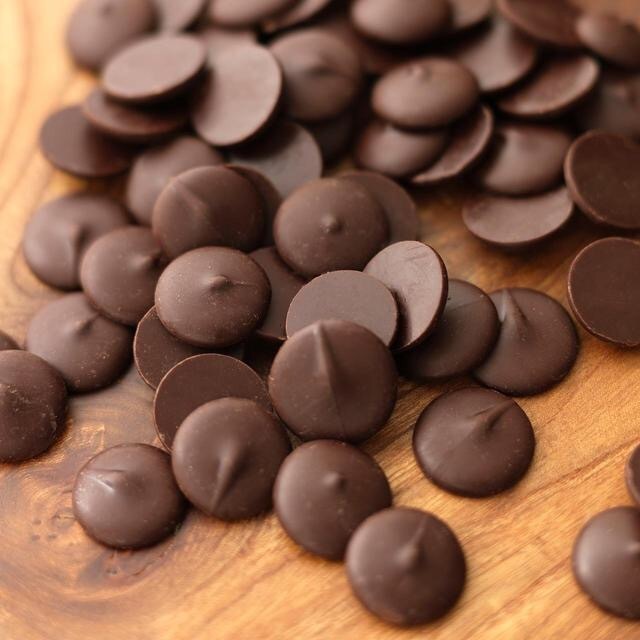 Being small in shape and lots of them seems to reduce the melting times in comparison to a large bar of cooking chocolate. It may be a good idea to hide these high up, from little hands as it is very tempting just to stand and eat them.